FORCE VOLUME 1: The Wright Time earned a Glyph Nomination for “Best Reprint Publication.” Learn more about the Glyph nominee below! FORCE (Football Operations Rated Championship Elite) stars Quarterback Terrance Wright. He’s about to play in the biggest game of his life, Supreme Bowl XXVII. However, events leading up to the game could alter his fate. Will Terrance’s health, finances, his scheming agent, a beloved rookie backup quarterback, and his personal relationship with the franchise operations manager take him to his breaking point before the game begins? 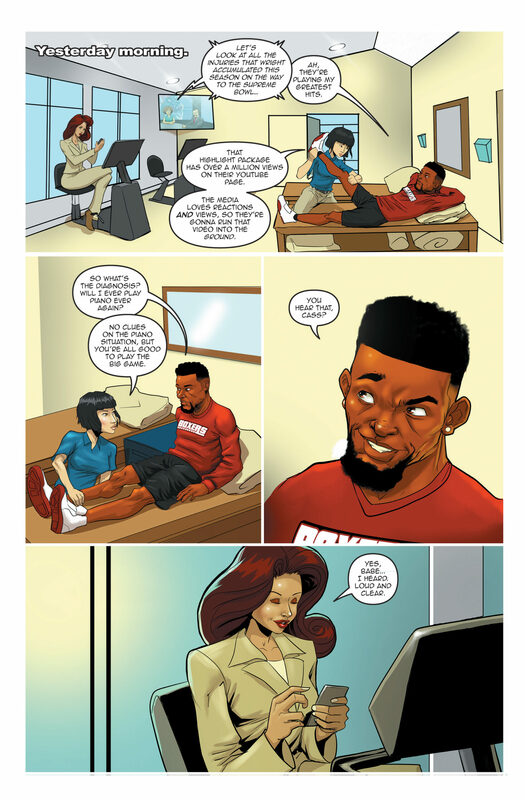 Shawn Pryor reacts to the series’ Glyph nomination: “Being nominated for a Glyph Comics Award is a prestigious honor, and I am proud of the work that Jay Reed, B. Alex Thompson and I were able to accomplish with this book. Sports dramas in the United States are a rarity, and I’m thankful that Action Lab Entertainment took a chance on FORCE. 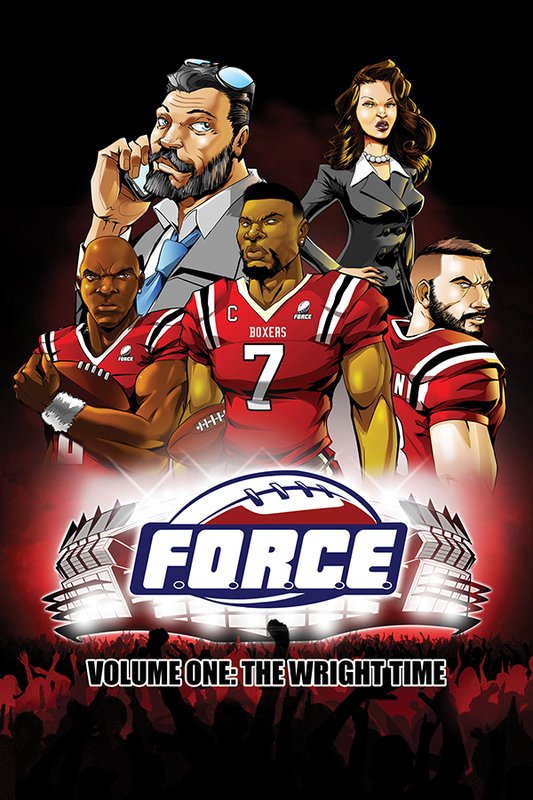 FORCE is a rare sports title in the comic book world that promotes diversity. Rogues Portal encouraged comic book fans to “Buy! While other forms of media have attempted to create series that follow the drama on and off the field F.O.R.C.E. 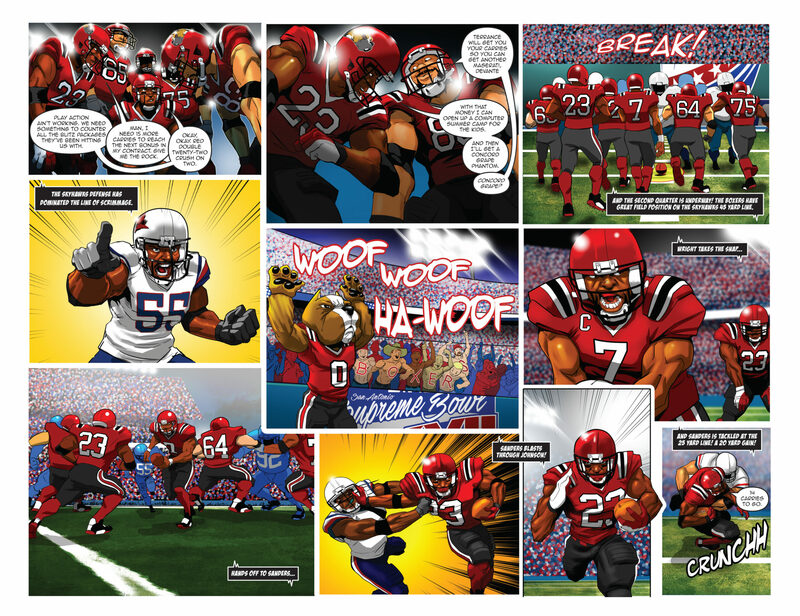 #1 is one of the first comics to do so.” So, score a touchdown when you order your copy of the Glyph nominee on Amazon.